Basic elements of SEO should be either well-known or common sense to most webmasters and bloggers today. With all of the changes made by Google and other search engines in recent years, it is nearly impossible to achieve visibility in search without understanding how keyword usage, formatting, and other basic forms of optimization affect overall search engine rankings. Not all pages on a given website, however, may be performing equally well. The FAQs page is one notable example of pages that often are forgotten about in the pursuit of broader SEO endeavours. Below, we’ll outline three simple tips that can help you improve overall FAQ page rankings in search. A FAQs page should aim to answer just that – the most frequently asked questions among those who visit your website. By addressing these elements, you’ll not only convert more people who read it, but you’ll be more likely to rank in search results niche-wide for the same questions. In some cases, pinging users with questions about this directly is possible (via email, via product pages, etc.). In other cases, you’ll need to find ways in which to ask the questions indirectly – such as through a survey – in order to obtain the answers. If your brand or website has multiple staff members or even if you have friends who are willing to peruse it, then ask them which questions naturally came to mind when browsing. 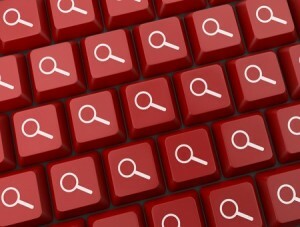 Many forms of keyword research can be conducted to determine which questions are being asked by searchers. Analysis of data through tools such as Google AdWords makes it possible to determine whether or not search users care about a particular question currently addressed on your FAQs page. While the data in most cases won’t be complex or backed up by a lot of search volume, you will still be able to find a variety of search trends surrounding which questions and keywords matter most. Then, by connecting the important questions with relevant long-tail keywords, you will be able to target a variety of new queries in search via this one page. It is crucial that you continue to monitor all SEO-related functions of your website on a regular basis, and there is no difference when it comes to the FAQs page’s performance. In many of the same ways that you consulted with visitors on which questions they have, the same can be done to determine whether or not the current revisions to the page are satisfactory. At the end of the day, the FAQs page should be about answering valuable and common questions – not about merely driving traffic. With surveys, pop-up questions and a variety of other engagements, you’ll be able to gauge whether or not your website’s FAQs page is pinging users with all of the right answers. If so, then be satisfied – but never be complacent. By connecting questions with keywords, monitoring user behaviour and opinion, and inquiring about page satisfaction, webmasters and bloggers alike will be able to deliver a FAQs page that delivers search engine traffic and internal satisfaction to all who find it.